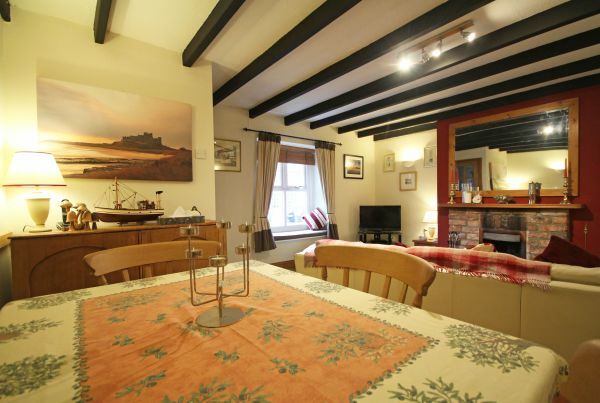 A wonderful bolthole for couples - Porthole Cottage is located in North Sunderland, just a five minute walk from Seahouses centre and a host of amenities. The property has a real cosy feel and a great selection of facilities to make for a relaxing stay, and being just outside the village centre, benefits from being in a more peaceful setting. There are a host of activities and sights to be seen just a stroll away from the property, including the harbour (fishing and boat trip to the Farne Islands during seasonal months) and beautiful coastline. The ground floor features a living room/dining area with open fire, a kitchen, and a bathroom with shower over the bath.